ZOMBIE IN LOVE - THE MUSICAL! Hey, Ghouls and Boys! I have some heart-stopping news! 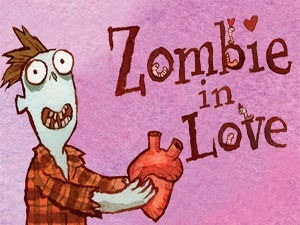 Oregon Children's Theatre will be hosting the world premier of ZOMBIE IN LOVE - THE MUSICAL! I will be in Portland for Opening Day performances on Saturday, March 1st to take in the fun and sign copies of the book. I can't wait! For more information about the show and how to purchase tickets, please visit the Oregon Children's Theatre's website.